What is Behind the Disruptions in the Mexican Avocado Market? | Small Farmers. Big Change. Do you regularly purchase avocados at your local grocery store? If so, have you noticed that it was not possible to purchase avocados from Mexico during the first two weeks of October? Are you curious what’s behind this disruption in supply? 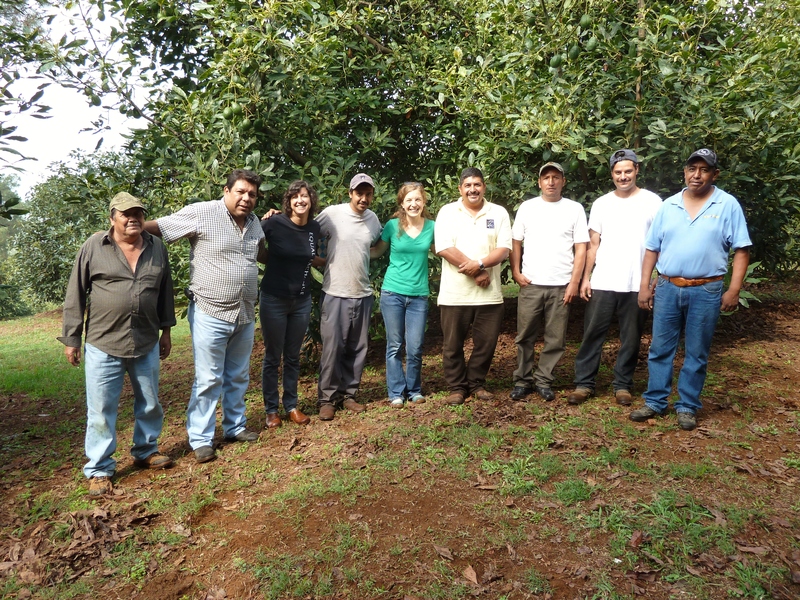 In the following article, Nicole Vitello, CEO of Oke USA/Equal Exchange Bananas gives us a behind-the-scenes look at what’s been happening in Mexico and the impact it has on those of us here who purchase Mexican avocados. She also explains why the model of trade that Oke USA/Equal Exchange believes in and adheres to provides an alternative, more equitable model that benefits both growers in the Global South and consumers here in the U.S.
Why did the supply of Mexican avocados to the U.S. suddenly stop? The Mexican avocado growing season ends in May. Shortly after the harvest was completed, avocado growers occupied the offices of APEAM (Association of Producers and Exporter of Avocados from Mexico) in a massive protest. 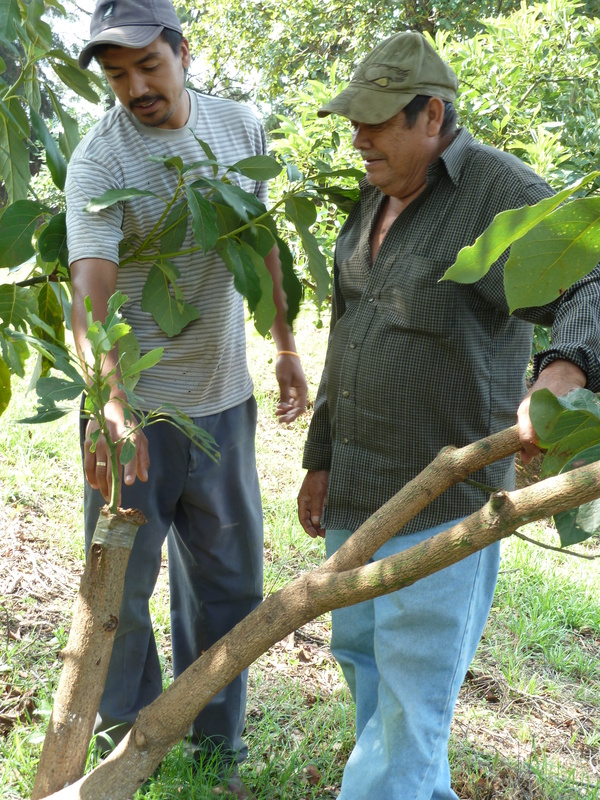 APEAM offices are located in Michoacan, the primary avocado export province of Mexico. What was the issue? According to APEAM spokesperson, Ramon Paz Vega, the “primary issue revolved around internal differences on sales negotiations between growers and packers. The other issues pertain to payment in U.S. dollars vs. Mexican pesos, and who should be responsible for phytosanitary sampling fruit costs required by the USDA. Negotiations on these two topics continue,” he told The Produce News via email on Oct. 17th. 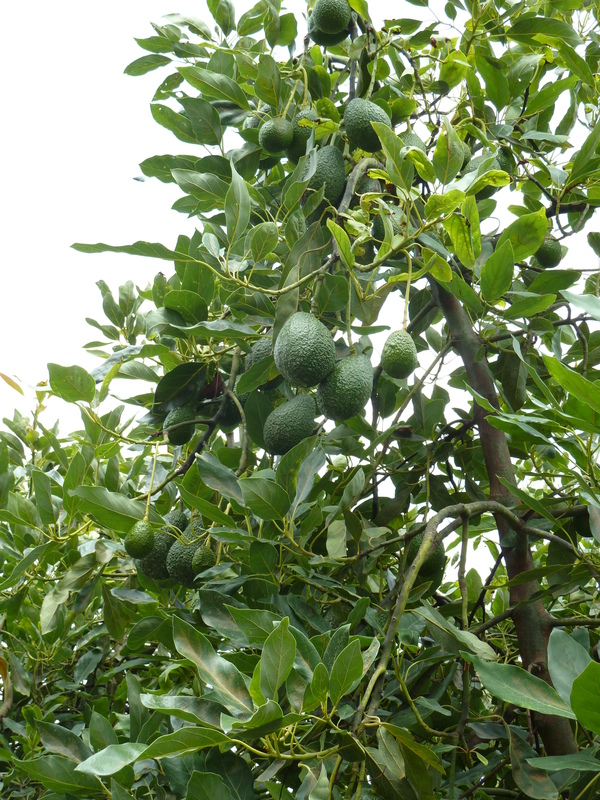 Twenty thousand growers produce avocados in Mexico. In the conventional agricultural system, growers do not generally harvest or pack their own product. The farmers sell their avocados in the field each week to a consolidator who owns a packing house and exports the fruit to the US, Canada, Europe, China, and Japan. The total number of packing houses in Mexico is only 325. Field prices are set each week in pesos and exporters do business in dollars. Growers were mainly protesting low field prices vs. export prices, as well as the the peso to dollar equivalencies which were not working in their favor. They were asking for field prices to be paid in dollars and for more transparency around the market vs field prices. Growers occupying APEAM offices back in May meant that no field prices could be set, no harvest crews could be organized and all negotiations between growers and packers were frozen. Eventually, an agreement was finally reached. Despite the agreement, at the end of September, growers decided to strike again in the belief that their agreement with packers was not being respected. This strike resulted in a total shut down of Mexican avocado supply to the US market during the first two weeks of October, a time when few other sources for avocados were available. This shut-down got the attention of more powerful forces than APEAM; mainly SAGARPA (Mexico’s USDA) and the Mexican Government. The strike was resolved by October 14 and harvesting and packing resumed on October 17. While this strike was a loss for the reliability of an avocado supply chain from Mexico, it is a win for growers who were able to shine a light on the actual power dynamics and inequalities of the internal Mexican avocado market. How is Equal Exchange an alternative? Better pricing due to elimination of middlemen. More money stays with the farmers. Growers have better access to information about the US market including pricing and distribution. Importers gain a greater understanding of costs associated with avocado growing, harvesting and packing and how the Mexican market works. Growers and importers can better understand each other in order to work towards pricing based on true costs not on the sometimes fickle variances of the market. This vision is only radical because it is an alternative to free market capitalism which promotes wild variances in pricing allowing certain agents in the supply chain to profit. Set pricing would allow prices to be based on actual costs and natural supply and demand (for example, Mexico is expecting 40% less supply this year based on weather and growing conditions, so price would be set higher than last year). Price instability is hard on all actors in the supply chain as you are never sure what you will be paid in a certain week and whether that price will give you the margin that you need to survive. 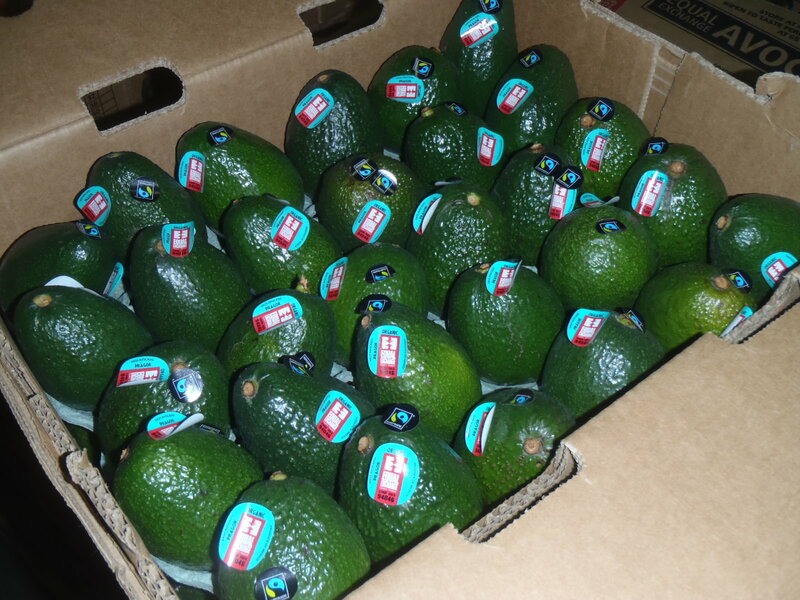 Oke USA/Equal Exchange sets weekly pricing with our Mexican avocado co-op partner, Pragor; however it is dependent on the conventional field price set by packers since that is the de facto market price. Who sets this “conventional field price” and on what is it actually based? That is the transparency that growers are demanding. Our partner, Pragor’s costs are higher because they are bearing all the costs of growing, production, harvest, transport, and packing. There are few economies of scale but growers are part of a co-operative in which they can negotiate pricing directly with us. We pick up the product in Mexico in order to save them the export costs. We are transparent in our pricing to distributors and promote the sharing of information between all parties. We try to smooth out major changes in pricing from week to week by adjusting our margin and negotiating directly with Pragor. The current situation sheds light on how important direct relationships are to transparency, mutual understanding and an ability for farmers and importers to negotiate as equals, not as part of a power structure where the cards are often stacked against farmers due to lack of access to information. Equal Exchange’s mission has always been to give farmers and consumers a seat at the table together with all the other actors in the agricultural supply chain. To learn more about Pragor and our relationship with them, click here.